Failure to comply with the Americans with Disabilities Act (ADA) can get you sued. As demonstrated by the recent cases against Domino’s and Five Guys, even your website needs to be ADA compliant. But what about your physical location? You need to have a strategy to help you create an ADA compliant restaurant, bar or other foodservice business. So how do you go about creating an ADA compliant restaurant? Let’s go over some of the basics. Creating an ADA compliant restaurant starts even before a customer enters your building. The guidelines for parking lots are fairly clear cut. For every 25 parking spaces, the business must provide at least one accessible parking spot for an individual with disabilities. The spots themselves need to be at least 8 feet (96 inches) wide and must have an adjacent access aisle. The rules allow two parking spaces to share a single access aisle (which is probably why you see these spaces in pairs so often). If the spot is to be designated as “Van Accessible” then the adjacent aisle access must be at least 8 feet wide as well. Access aisles must be clearly delineated. This is most commonly indicated by diagonal striping. Parking spots should allow for 98 inches of vertical height to permit van parking. In addition, spaces should be on a level grade of no more than 2 percent slope in any direction. Lastly, you will need appropriate signage to designate your accessible parking spaces. Signs should be posted at least 60 inches above ground level. This is to insure that the signs are not obstructed by other parked cars. 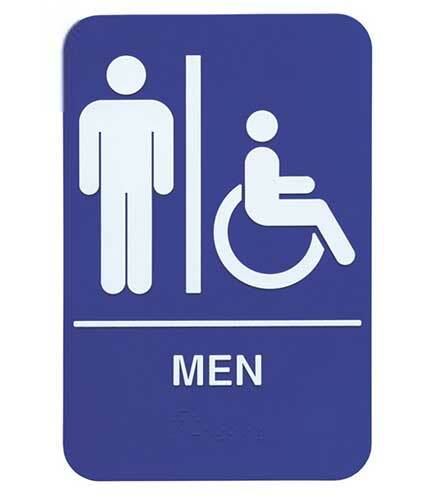 The correct signage features a white wheelchair figure upon a blue background field. 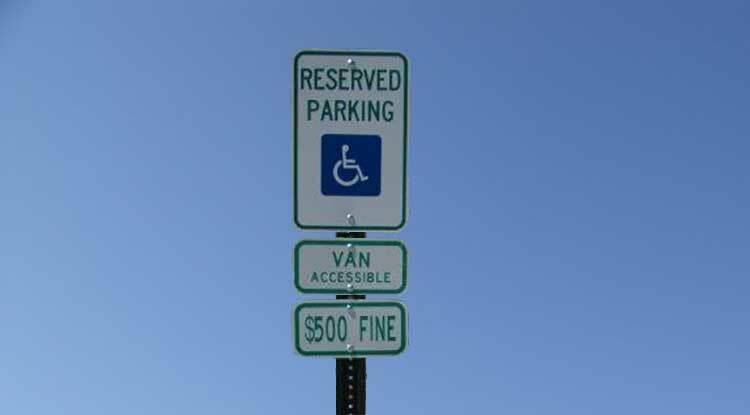 Slots designated for van use have additional verbiage on the sign to indicate this fact. Some signs also come with penalty warnings for improper and illegal use of the accessible spots by those who do not need them. The doors leading to your business need to be able to accomodate wheelchairs and people with other types of disabilities. This means that the opening must be at least 36 inches wide. And the door handles must be accessible as well. This means that the handles cannot require the patron to turn or squeeze to open. 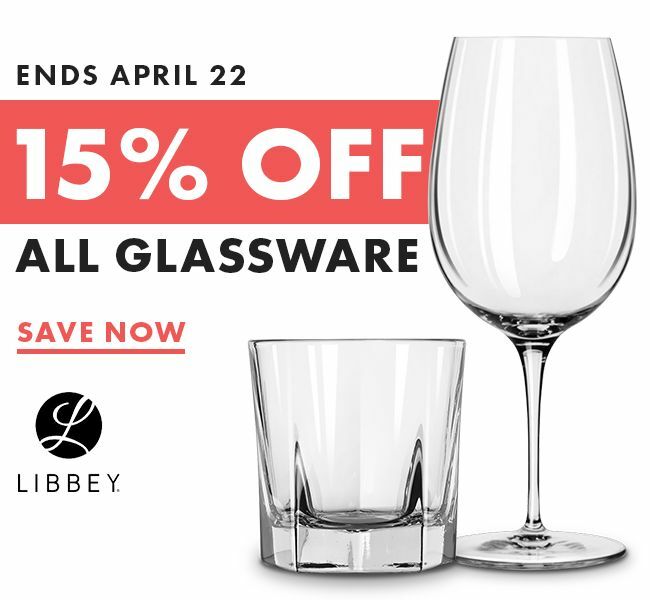 A looped handle or lever-style handle is preferred. A power-assisted door can also be employed. Illustrations of ADA compliant door handles. A loop style & a lever style handle. A business owner must create equal access to all sections of the business. This means that aisles and walkways must be at least 36 inches wide to allow wheelchair access. Table heights need to be between 28 and 34 inches high. You should provide at least 27 inches of knee clearance to allow for wheelchair access. Similar rules apply to counters where customers transact or make use of your service. The counter height can be no taller than 36 inches. There also needs to be adequate space in front of the counter to maneuver a wheelchair. 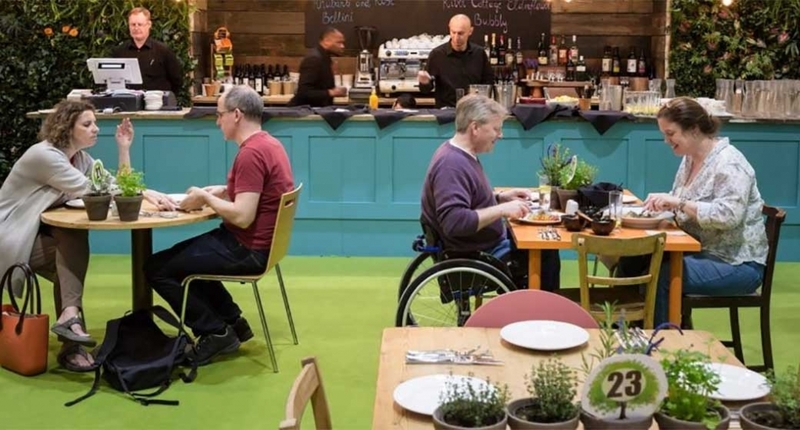 In restaurants with fixed tables (either affixed to the wall or the floor) at least 5% of the tables must accommodate wheelchairs. If there are less than 20 tables, then at least one table must be accessible. One of the aspects of accessible design that most people have encountered is the accessible restroom. You might call it the “handicap stall” but it is really much more than just a larger area. It begins with signage. Indicating that your restroom is accessible is essential. Another important feature is the inclusion of Braille type on the sign to allow the blind to correctly identify the proper restroom. The bathroom space must allow for a full 60 inch diameter of clear floor space. The restroom door may not open into this space. It needs to be clear so that a wheelchair can adequately rotate and navigate the space. This same metric is applied to an accessible toilet stall (i.e. 60 inches of clear space for maneuvering). Grab bars must be installed along the wall. These bars should be 1.25 – 1.5 inches in diameter and should be placed 34-38 inches in height from the floor. There needs to be at least 1.5 inches of “grab space” between the bar and the wall. And finally, the ends of the bar should return to the wall or otherwise be designed so that no exposed ends are shown. The toilet itself must be precisely placed within the stall. Toilets must be located within 16-18 inches from the centerline of the wall. This allows for wheelchair mobility. The toilet itself should be 17-19 inches high for ease of transfer from a wheelchair and to assist those with other mobility issues. The flush mechanism should be placed on the open side of the wall and not over the tank so that the individual does not need to twist behind themselves to flush. Sinks should be at a height of 34 inches with maneuverability for wheelchairs. Where possible, there should be 27 inches of knee clearance and handles should be accessible from wheelchair height. Other fixtures such as paper towel dispensers, air dryers, and changing tables should be installed to be accessible at wheelchair height. Things like air dryers that are motion activated, must also be able to be activated from a wheelchair. Another aspect of having an ADA compliant restaurant is having a menu that can be used by everyone. This includes those with visual impairments. One option is to provide a Braille menu. This is not a requirement of the ADA because maintaining a menu that changes frequently could be an unreasonable financial burden to the business. However, you must provide some access to your menu for those who cannot see. Therefore, it is important to train your staff in how to respond to these situations. Your business needs to be able to accommodate service animals where appropriate. 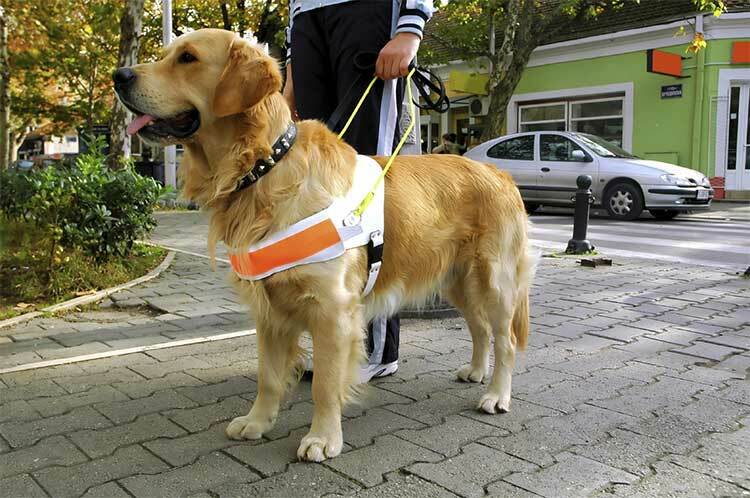 Under the ADA guidelines, a service animal is a dog that is trained to assist its owner who has a disability. This issue has been getting a lot of publicity lately with the advent of “emotional support animals.” Under the ADA guidelines, emotional support animals are not considered service animals and the establishment is not required to accommodate them. 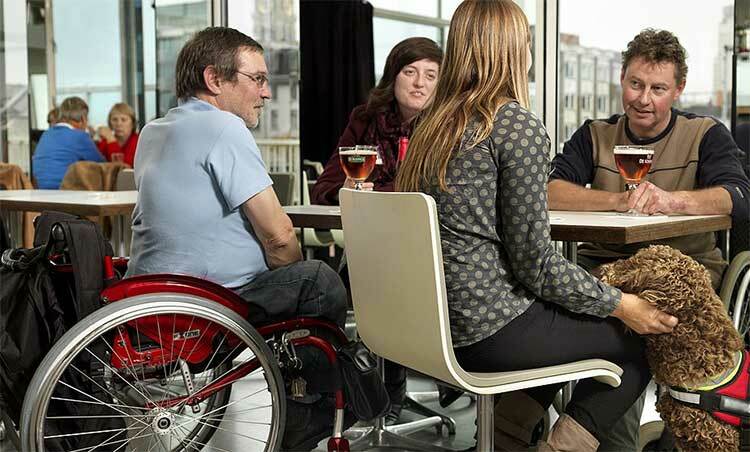 Creating an inclusive and accessible restaurant can be a challenge. However, the benefits and rewards of creating an ADA compliant restaurant cannot be overstated. Your business may be eligible for tax breaks for installing assistive equipment so be sure to check with your tax advisor. And if you are looking for more details, be sure to visit the official government site for the Americans with Disabilities Act.